Sometime during June 2013, I received a call from someone, claiming to be from a company who make The Hotel Inspector program. I was pleasant as always, just in case. A week or so later, I received another call. 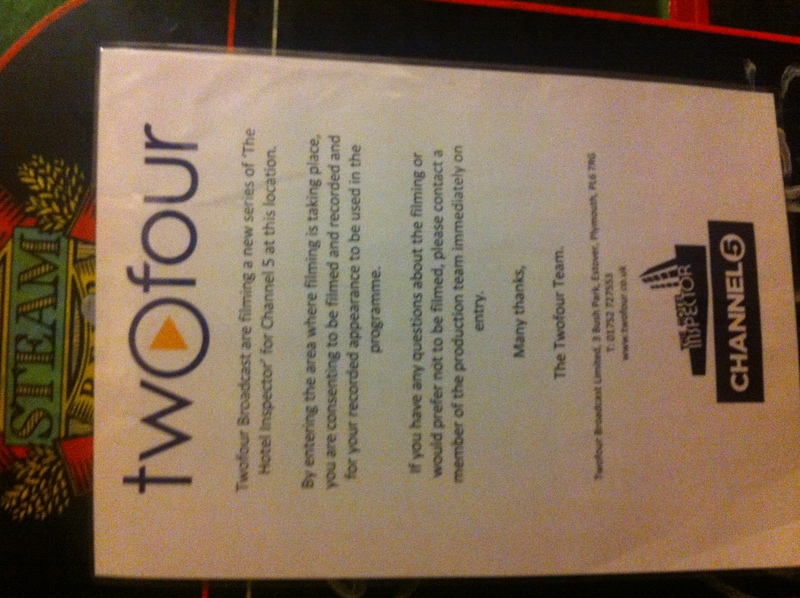 They explained who they were, TwoFour Broadcast, they produced the program ‘The Hotel Inspector’. It sounded convincing, so I went along. Apparently a hotel in Falmouth was taking part, they had a disused pool that they wanted us to look at, in view of it being used for diver training. Another couple of weeks passed, another call. They had now decided to renovate the pool, we would be invited to stay the night, then try the pool the following day. All went quiet for a couple of weeks, then I received another call, the time and date had been set. We were then told the hotel’s name, the Eden Lodge. I had mentioned the need for somewhere to change, they had organised a shed for changing in. The invited instructors were to turn up on Thursday evening, have an evening meal, a quick interview, then whatever we wanted to do for the rest of the evening. The following morning we would have breakfast, followed by a couple of hours in the pool, then a buffet lunch. Then the hotel owner’s final sales pitch. As we arrived, we were met by some of the film crew, they were preparing to film us entering and being welcomed by the owners. We hung around outside, then walked along the path to make our entrance. I walked in the door, saw the camera, ‘don’t look at the camera’, do it again. After several goes of entering the hotel and being greeted by Lynne and Ziggy, we had the final take. We then had to stay outside while they moved the cameras, they wanted us walking along the path, from a couple of angles, several times. Eventually we were let past the reception area to our rooms. Keith was led upstairs, I was led through the dining room. I had the family room, which was off of the dining room. It was very nice, clean, comfortable with plenty of space. After a little while we went for our evening meal. Roast chicken, roast potatoes and veg, very pleasant. The desert was a bit too moreish though, having to savour the last drop for the camera. We spent the night drinking tea and coffee, we had a few of the following days pool divers pop in for a chat, then off we went to bed. The following morning, the three of us had a fried English breakfast, smiling for the camera all the way. We then waited around while our divers and Alex Polizzi turned up. Once we were all there, we were led into the sitting room. The whole group had a welcome introduction from Ziggy before he showed us to the pool. We had been kept away from the pool until then. It looked a decent size, roughly 10m by 4m and was 2m deep at the far end, 1m deep close to the door. We all changed into our various suits. I had been told the pool had only just been filled and would be cold, so we all had dry suits. All the other divers had brought wet suits. The water was cold, we weren’t. Although there was up to twelve of us in the pool, it was certainly big enough. After the dive we grabbed a sneaky photo with Alex. We then went for our buffet lunch, Lynne had laid on a very good spread, everyone ate their fill. After lunch we were led back into the sitting room, where Ziggy and Lynne gave us their final speech. 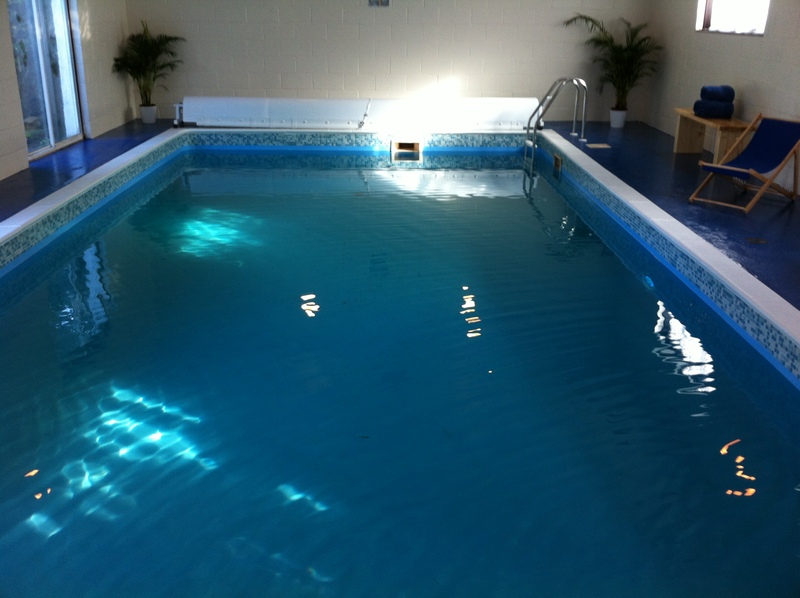 We were told of hire prices for the pool and package prices for residential courses. On arrival, we had to sign a waiver and state that we would not discuss any details until six months after the airing date. All that for the princely sum of one pound, which we never got. The program eventually aired on 20th February 2014. We were actually training in the hotel’s pool until 30 minutes before the program started. I had to rush home to watch and record it. It was a fun program and we all came across well. We did notice the odd continuity error. The first one was when we walked along the path. From the outside view, I led the way, from inside the dining room I was second. On entering the hotel, I was leading again. Since the programs recording, we have been back to the pool several times, almost once a week. Lynne and Ziggy are always welcoming and offering a cup of tea as we get there. Some of our divers have stayed there and have been complimentary. The Eden Lodge is ideally situated on Melville Road, just four minutes walk to the town centre and five minutes walk from Gyllyngvase Beach. Parking is a little restricted but we’ve always found a space. We now recommend all of our divers stay there. It is probably the cheapest hotel in Falmouth, ideally situated, and, has a pool.